If you had told me 15 years ago when I began teaching that I would get rid of at least 200 books in my classroom library each year, I would have thought you were crazy. I worked so hard to accumulate books, why would I ever willingly part with any? However, I have since learned that every good library needs to be analyzed annually. 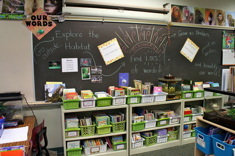 The classroom library is the heart of the room. I am a big believer in having a diverse collection of books in your library. 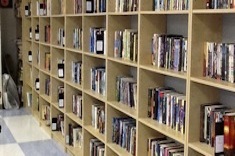 At first, I used Dr. Richard Allington’s recommendation of 1,500 books in a classroom library as my goal. Then I worked to broaden the genres, authors, diverse characters, and formats. Finally, I had a library with the depth and breadth I was happy with. Looking around the room after many years, I noticed that there were dozens of books the students weren’t checking out. I began to wonder if I needed to organize my library better. What was it that needed to be done? The answer, I found, was in how I was curating my collection. I was participating in only one part of library curation: the addition of books. I wasn’t weeding any out. 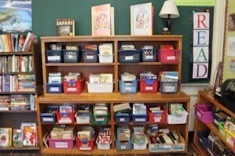 They need to regularly add books, weed books, and reorganize to fit the students they are teaching. Books need to be examined for being dated. Books need to be examined if they aren’t been checked out year after year. Although I don’t feel compelled to have the newest edition of every book, or even the newest cover, I do keep these recommendations in mind as I weed. I typically weed my classroom library during the final weeks of the school year. I open up the discussion in reading class and explain to the students that I need their assistance. 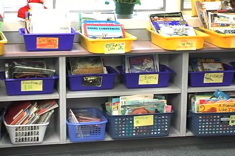 We need to look for books that are falling apart, which will go in one stack at the front of the classroom. We also need to look for books that don’t seem to have been checked out. Those will go in another stack. Finally, we need to look for books that are truly too young or too old for our classroom—that is the final stack. The kids get to work. I begin examining the books as they bring them over. The ones that are falling apart I examine to see if they can easily be repaired or are beyond repair. If they are beyond repair, they go to a three-tiered cart I have against the wall in my room. Then I begin looking at the ones they don’t think have been checked out this year. If I notice that they are books that weren’t circulating last year either, I put them on the cart. Finally, I look at the stack of books they think are not age appropriate. If I agree, those join the others on the cart. 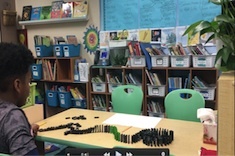 When my students are finished weeding on their own, and I have analyzed the stacks they have created, I do one pass through the library with those same guidelines in mind. I pull more books until I have reached at least about 200 books. My cart by that point is full. The next day at school our minilesson focuses on the classroom library. I ask students to reflect on what worked for them in the layout of the library and what suggestions they have for improvement for next year. 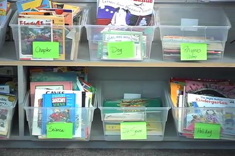 Last year’s class asked me to sort nonfiction books differently—by author, series, and topic. Another year the students suggested that I create some shelves where I have books organized by series and with the spines facing out instead of in baskets. This year’s class asked that I create a shelf just for advanced copy books for review. I take notes on what the students suggest so I can make sure to implement their suggestions. I share with the students that I need some kids willing to be the new owners for all of the books we spent the previous day weeding out of our classroom. Just because they don’t fit the needs of our classroom collection anymore doesn’t mean they won’t be wonderful for a home library. We also look at the books that have been “well loved” and are falling apart. I tell them that I didn’t throw them away because sometimes they are someone’s favorite book. Oftentimes they are a graphic novel; students love to take them apart and hang favorite illustrations on the walls of their bedroom. So those books are on the cart as well. To be fair, we go through in waves. You may take one book, and then you wait until everyone sits down. Then, when everyone has one, I allow the last group to go first and get their second book and we reverse the order of the kids. We pull books from the cart until everyone has at least two (which is why I always weed out around 200). Some years we have more books weeded and kids can have three; it just varies. When we are finally finished, my classroom has been weeded and every student has some books of their own to take home and keep. I can look at the library objectively and see if there are gaps in my collection that I need to add to over the summer. It is only by making sure I do both parts of library curation—the addition of new books and the deletion of old—that my library can stay current. 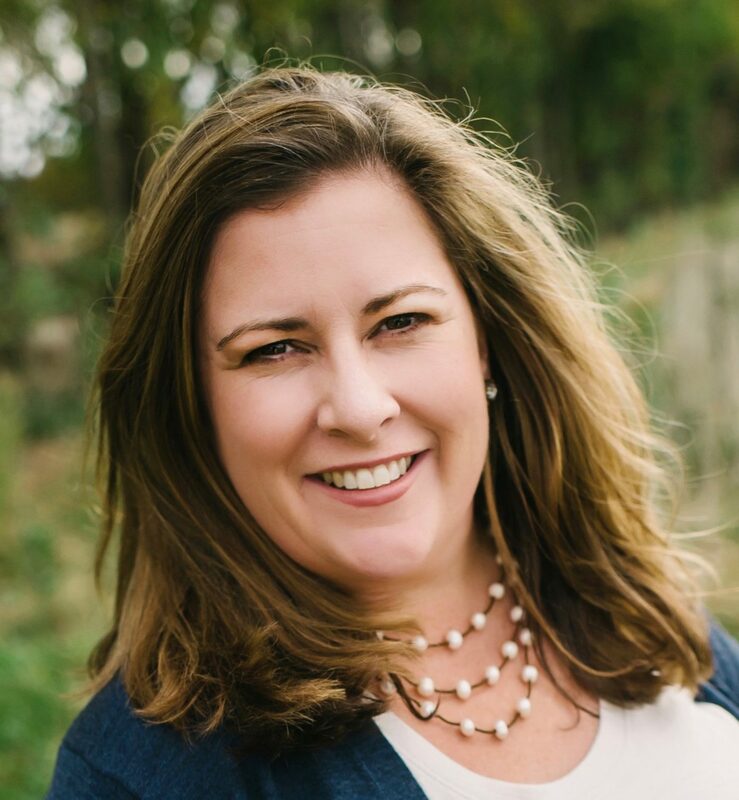 Christy Rush-Levine explains how she gradually stocked her middle school classroom library, as well as how she uses student librarians to ensure books aren’t lost. Organizing nonfiction so that kids will gobble it up is an art. Andrea Smith knows how important it is to include students in this process.